LAHORE -- Pakistani youth and people of all ages with a "young spirit" enjoyed three days of theatre, entertainment and workshops at the Tamasha Festival 2017. The festival, held April 7-9 in Lahore, was the first of its kind organised by the Pakistani branch of the International Theatre Festival for Children and Young People (ASSITEJ). 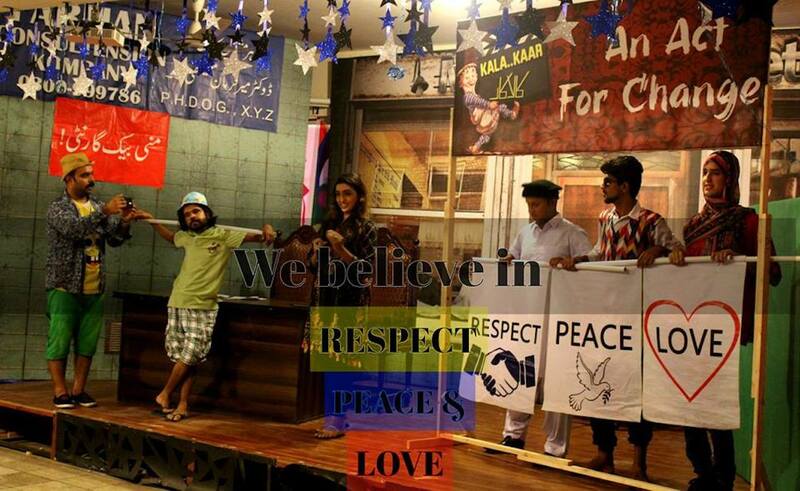 ASSITEJ Pakistan is a chapter of ASSITEJ International, which unites theatres, organisations and individuals throughout the world who create theatre for children and young people. ASSITEJ Pakistan members The Little Art, Chota Mota Theatre, Harsukh, MAAS Foundation and Independent Theatre Pakistan hosted the event and performed during the festival. Representatives from theatre associations and practitioners from Australia, Japan, South Korea, Sri Lanka and the United Arab Emirates (UAE) also participated. In addition to children's theatre performances, the festival held training workshops and discussion sessions open to the general public. "The cultural event [was] highly regarded by its large audience from children, and young people to adults and seniors with open minds and young spirit," said Shoaib Iqbal, festival director and founder of The Little Art. "It is the only festival in Pakistan with this identity and the only international genre event in the region," he told Pakistan Forward. "The idea of the festival was to create a dialogue that brings people together on a platform where they can share ideas, to develop the youth so they can take similar sorts of initiatives in the future, while also promoting the theatre and performing arts in Lahore, which were fading away," he said. Young people like to hear stories that make a real impact on their lives and that they can talk about with their peers, he said. "Such stories are told through the intelligent, entertaining and diverse theatre performances that the festival offers from around the world, opening a window to develop their global perspectives," Iqbal said in a statement. "The festival is a contribution towards a peaceful Pakistan and a part of this endeavour to promote peace, tolerance and sense of inclusion in our society," he told Pakistan Forward. "We hope that children will find this an exciting opportunity to enjoy with their families and fuel their creative imagination," he added. The festival presented 8 full-length plays, 21 performances by school groups, and 10 interactive workshops for children, families and educators. The curtain opened for the first performance, "Gogi Aur Jugnu Ka Tamasha" by The Little Art. Performed for only the third time in Lahore, it has become a favourite for children with its colorful backdrops and pleasing musical score. It was followed by a musical ensemble of Punjabi folk poetry with Rakae Jamil on sitar, Akmal Qadri on flute, Muzzamil Ahmad on guitars and Sara Kazmi's recitation of selected poems from Punjabi literature. "We came particularly to watch 'Gogi Aur Jugnu Ka Tamasha' again," said Ayesha, a mother and visitor. "My kids love the show and were excited that it's being performed again." Another highlight of the first day of the festival was the appearance of Nadeeka Tharangani and Gayani Uthpala, both of Sri Lanka, who performed a dramatic dance in the traditional form of Thala. Seok-Hong Kim, a performer from South Korea, said he was "glad to receive the message of peace and goodwill from the people of Pakistan". "It is a step towards a peaceful world by creating a safe environment that allows each other to be acknowledged and accepted, encouraging dialogues in a [...] festival where people with diverse differences such as nationality, culture, language, disabilities, etc. will gather," he told Pakistan Forward . 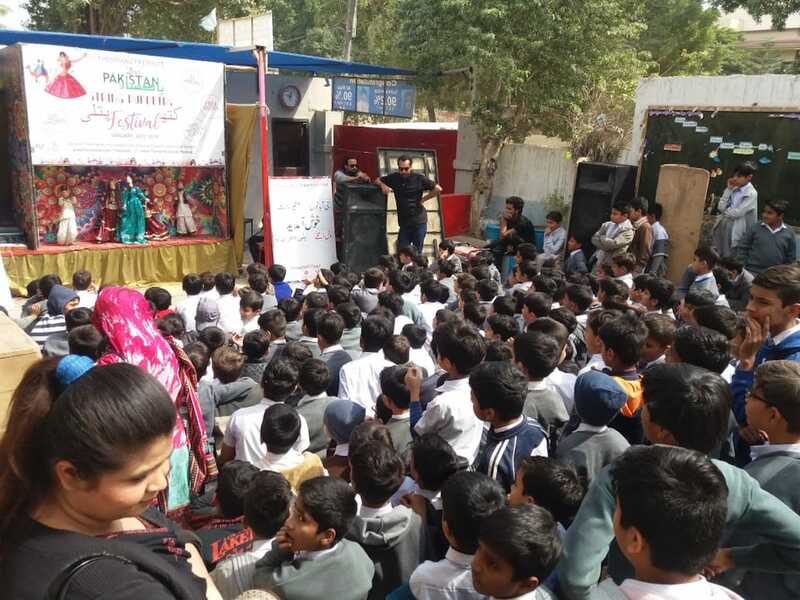 "The festival brings people together so that they can share knowledge and practice within the field of theatre for children and young people in order to deepen understanding, develop new ideas and create new opportunities ... on behalf of all children everywhere," said Fakhar Ali, 25 and a Lahore resident. "The festival was a big success and boost for the peace process," added Fakhar. "Scores of participants came together to organise the festival, stage full-length productions and short performances, attend workshops, build bridges across different schools of theatre, find friendships across thousands of miles, and learn about theatre and form a living, thriving, dynamic community of like-minded young individuals," said Mahrukh, a young festival participant. Other than the performances, the festival included informative and innovative workshops on how to incorporate performing arts and theatre in school curriculum. "We need to hold such festivals every year to provide high-quality theatre to children and young people and to provide a place where they can share various experiences with families and friends," Asghar Nadeem Syed, a Pakistani playwright, told Pakistan Forward. "Such events cultivate creative people who have wide-ranging regional and international perspectives through involvement with various festival [participants] and can actively engage with others," he said. ASSITEJ Pakistan also hosted the 7th Annual Asia Meet April 6, bringing together theatre professionals from Germany, Australia, Sri Lanka, Nepal and the UAE to discuss potential collaboration for the future of performing arts in Pakistan. "The focus of the meeting is on regional co-operation between the national centres and possibilities of joint ventures and trainings between ASSITEJ members," Iqbal said. "It is a new network of which ASSITEJ Pakistan is a great new chapter," said Sue Giles, artistic director/co-CEO of Polyglot Theatre from Australia, and also part of the ASSITEJ International executive committee. "It brings together theatre practitioners all through the Asian region," she told Pakistan Forward. "It has been an incredible meeting of minds and great conversation on how to connect everyone who is working in this amazing field of performing arts and how to create more experiences for children across Asia." 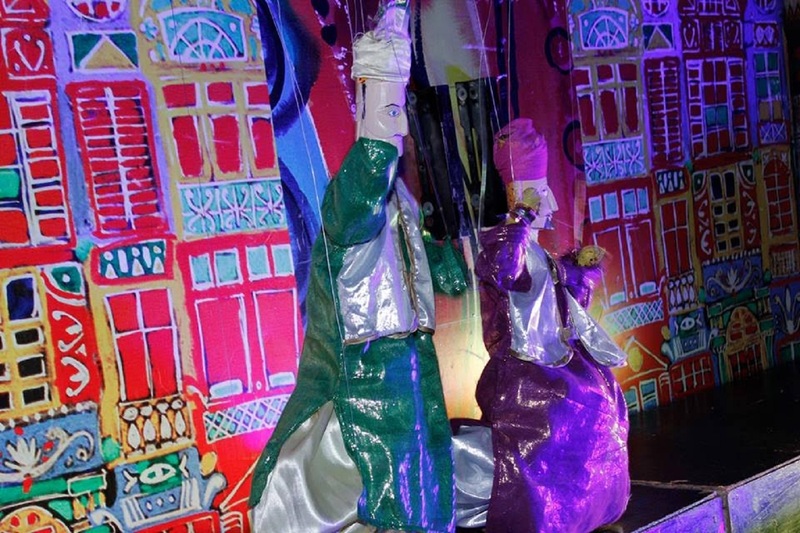 The Thespianz Theatre's management is staging a city-wide puppet festival to urge the rejection of extremism and violence. The Thespianz Theatre plans to organise a total of 330 shows in 11 locations throughout Karachi from January 14 through July 31. The Karachi-based non-profit is set to launch a fundraising drive in the United States in September. The group uses performing arts to raise awareness of social issues and improve lives.